RC Motorsports is a dynamic, community-driven, database-powered online portal. The website allows the team’s drivers to register for an account, post photos, and chat with the team. The Member’s Area gives racers access to update their information and add content to the website. The Administration Area allows RC Motorsports owners to update the entire website, overruling any content added by drivers. The website also features a custom PHP poll. The “Sponsors” area lists real sponsors of RC Motorsports. The sponsors can be easily updated in the Administration Area. The “Driver of the Month” section can be updated in the Administration Area. Admins select a driver from the list of registered drivers to become the featured Driver of the Month. The website is built on a powerful MySQL database. The site is custom scripted using the PHP scripting language. Pioneer Media provides hosting and management services for RC Motorsports. 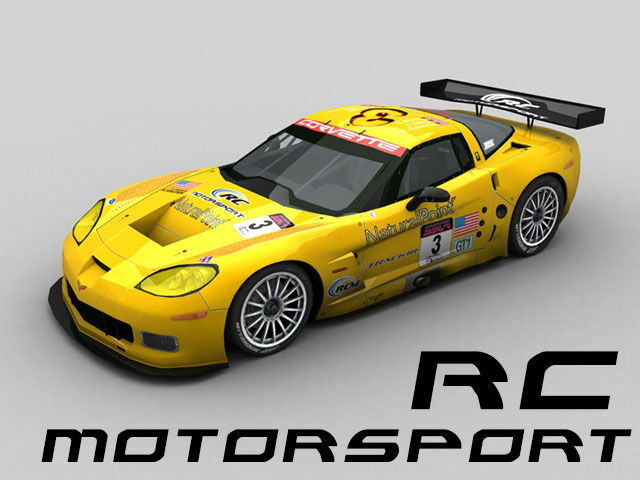 RC Motorsports is an online sim racing company. Their slogan is, “Where fast drivers are born!” The team consists of 18 drivers who compete in different online endurance races. The primary racing series is SSCA, which is the Simulated Sports Car Association. Other leagues include FSR, Formula Sim Racing, Digital Slipstream Motorsports, and iRacing.com, the photo-realistic simulated racing experience. RC Motorsports is sponsored by the Buttkicker wireless kit, the Thrustmaster, eDimensional 3D glasses, Auto Sim Sport, and SRT Media Productions.